Does your washing machine shake itself across the laundry room whenever you use it? Do foods spoil too quickly in your fridge or get encrusted with frost in your freezer? You need help. We strive to give every client same-day service along with the best quality appliance repair in Montclair CA. 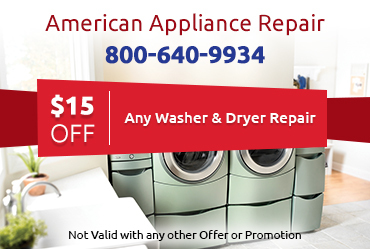 If you have an appliance from Amana, Jenn-Air, Scotsman, Whirlpool or Maytag that is under warranty and needs repair, you should definitely call American Appliance Repair. 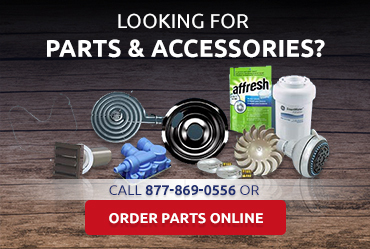 As an authorized service center for these brands, we have expert technicians that have completed training courses with these manufacturers and are able to complete the warranty repairs you require. American Appliance Repair is a factory-authorized service center for Maytag, Jenn-Air, Scotsman, Amana, and Whirlpool. This means that we can provide specialized care and even complete warranty appliance repair in Montclair CA for these brands. 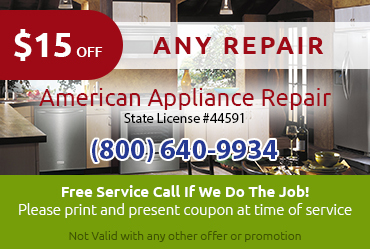 American Appliance Repair can service all your appliances, regardless of whether or not they are under warranty. 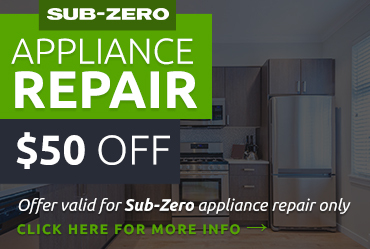 Thanks to our industry contacts, we can get factory-certified parts for just about any brand, enabling us to provide an effective and long-lasting repair for your appliance. Keeping our customers happy is very important to us here at American Appliance Repair. That’s why we make a point of providing speedy service and keeping customers in the loop regarding their repair options. We’ll let you know what’s wrong with your appliance, how to fix it, and what the cost would be, but the final decision as to how to proceed will be up to you. We’ll even provide our honest opinion as to whether a repair to an older appliance is really worth it, of if it would be more cost-effective to replace the appliance. The sooner you call us, the sooner we can get to work for you. Please do not hesitate to contact us quickly with repair needs large or small.